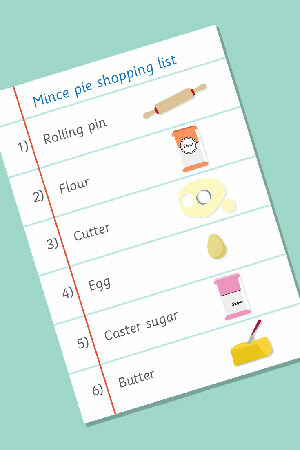 An illustrated shopping list featuring items that you may need to buy to make mince pies. The download also contains a blank list. It can be displayed in the role-play area to inspire children to use mark making in their role play at Christmas. It helps them think about the things that they might need when making mince pies. Quantities can also be added to the lists to help develop the mathematical concept of quantity '. Print blank ones for the children to use for their own lists / mark-making. A fun winter themed size sorting game. A set of beautifully designed Christmas card templates.